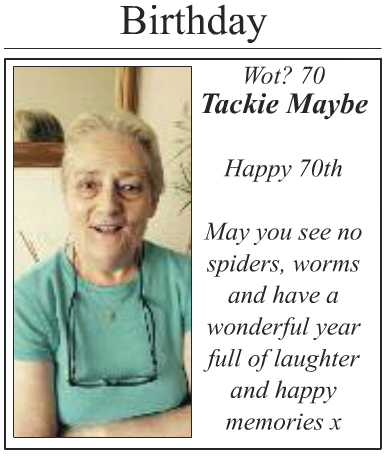 A neighbour was hoping to give Jackie Mabey a surprise for her 70th birthday with an announcement in her local newspaper, Southwark News. But the surprise didn't quite go as planned. Either way, Happy Birthday, Jackie.